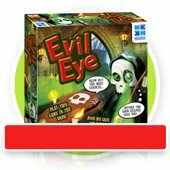 What do customers think of our children’s games and toys? At Megableu we value toy quality as well as our customers’ opinions and we love hearing what you think about our toys! Our favorites are Ghost Hunt Evolution, the Creepy Hand, and Name That. But you can also find out what our customers love about all of our games here!